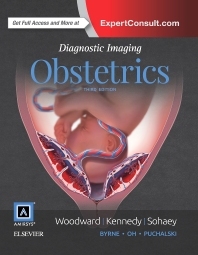 The newest edition of Diagnostic Imaging: Obstetrics provides fetal imagers with world-class content and instruction on the latest methodologies in this rapidly changing field. Featuring approximately 260 diagnoses highlighting the most recent information, references, and images, this title serves as a practical, highly formatted guide that’s well suited for today’s busy fetal imaging centers. Enhanced chapters on embryology, new reference tables, updated patient management guidelines, and much more ensure readers are current with the knowledge required for competent clinical practice.